How about the claim that 60% of ‘industry thought leaders’ are massively underestimating the likely decimation of the job market by the upcoming generation of ‘smart machine’ technology. Gartner’s ‘Maverick’ research is designed to spark new, unconventional insights. Maverick research is unconstrained by Gartner’s typical broad consensus-formation process to deliver breakthrough, innovative and disruptive ideas from the company’s research incubator to help organizations get ahead of the mainstream and take advantage of trends and insights that could impact IT strategy and the wider organization. 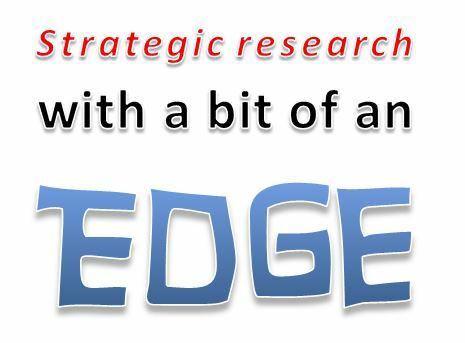 Not convinced that this research is really ‘all that edgy’? Machines are evolving from automating basic tasks to becoming advanced self-learning systems as capable as the human brain in many highly specialized professions. As such, the next wave of job losses will likely occur among highly valued specialists during the next decade. Gartner research has found that many CEOs are failing to recognize the widespread and deep business impact that smart machines will have through 2020. Gartner believes that the capability and reliability of smart machines will dramatically increase through 2020 to the point where they will have a major impact on business and IT functions. The impact will be such that firms that have not begun to develop programs and policies for a “digital workforce” by 2015 will not perform in the top quartile for productivity and operating profit margin improvement in their industry by 2020. As a direct result, the careers of CIOs who do not begin to champion digital workforce initiatives with their peers in the C-suite by 2015 will be cut short by 2023. A number of forces are colluding to make this threat a reality, not least the fact that the technologies for building a large-scale and diverse scope of smart machines are coalescing and being tested by “first movers.” At the same time ongoing weak revenue growth in the global economy will spur demand for cost reduction and productivity improvement by employing smart machines in place of humans. Whilst it certainly seems undeniably commendable to conduct and issue this kind of research, it might actually be pertinent for others to at least give some serious consideration to following Gartner’s example. Why have the 60% of CEOs who have failed to appreciate the changes that Gartner is anticipating not kept up with the relevant developments that the other 40% have recognised and are preparing for? Perhaps someone who has purchased the research article referred to in the press release (I haven’t) or who attended the relevant session(s?) at the Gartner Symposium/ITxpo 2013 event which was held in Orlando 6 – 10 October (I didn’t) can let me know whether this question has been answered.